Dyabola, ‘Archaeological Bibliography’ continues rapid growth: 2851 new titles in the first month and Augustus again! 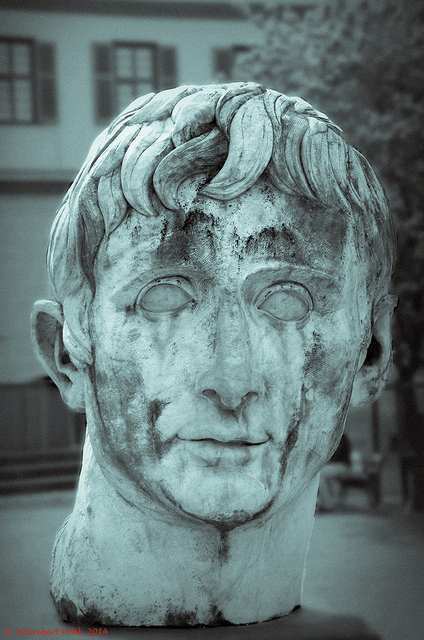 In addition to our blog post from November: Two new Augustus-exhibitions in Italy! The year of Augustus goes on. In Rome : Rivoluzione Augusto. L’imperatore che riscrisse il tempo e la città from 17 December 2014 – 2 June 2015. In Napoli: Augusto e la Campania. Da Ottaviano a Divo Augusto, 14 – 2014 d.C. Napoli, Museo Archeologico Nazionale, 19 December 2014 – 4 May 2015. The content of both catalogues have just been evaluated and referenced in Dyabola “Archaeological Bibliography”. Speaking of exhibitions: “L’età dell’angoscia. Da Commodo a Diocleziano (180-305 d.C.)”, 4th exhibition in the cycle “I gorni di Roma” has just been opened at the Capitoline Museums (28.1.2015). The contents of the catalogue have been already referenced in Dyabola. In January we have evaluated 197 new monographs and 105 new volumes of periodicals, gaining 2851 new titles for the “Archaeological Bibliography ”. You will find the list of new monographs (also in pdf) and periodicals below as ever. The list of the new periodicals has been supplemented with links to the online editions of the respective journals – in addition to the links for the online resources. A cultural history of the gardens, 1. A cultural history of gardens in antiquity. (London, Bloomsbury, 2013), ed. Gleason, K.
A handbook to the reception of Ovid. (Chichester, Wiley-Blackwell, 2014), ed. Miller, J.F. ; Newlands, C.E. Agalma. Ofrenda desde la filología clásica a la Manuel García Teijeiro. (Valladolid, Universidad de Valladolid, 2014), ed. Martínez Fernández, A. Am langen Seil des Altertums. Beiträge aus Anlass des 90. Geburtstags von Walter Wimmel. (Heidelberg, Winter, 2013), ed. Dunsch, B.; Prokoph, F.M. Ambienti multimediali per in Beni culturali. (Napoli, Liguori, 2012), ed. Catone, F.
Ancient coins in Australian Collections, 2. Adelaide. Coins from Asia Minor and the East. Selections from the Colin E. Pitchfork Collection. (Adelaide, Australian Center for Ancient Numismatic Studies, 2011), ed. Wright, N.L. Antike Sklaverei. (Darmstadt, Wissenschaftliche Buchgesellschaft, 2013), ed. Hermann-Otto, E.
Appropriating the past. Philosophical perspectives on the practice of archaeology. (Cambridge, Cambridge University Press, 2013), ed. Scarre, G.; Coningham, R.
Archaiologikés sumbolés, A. Attiké. KST’ kai B’ephoreíes proistorikón kai klasikón. (Athéna, Mouseío kukladikés téchnes, 2013), ed. Donka-Tole, M.; Oikonomou, S.
Archaiologikés sumbolés, b. Attiké. A’ kai G’ephoreíes proistorikón kai klasikón. (Athéna, Mouseío kukladikés téchnes, 2013), ed. Oikonomou, A.; Donka-Tole, M.
Art and archaeology. Collaborations, conversations, criticsms. (New York, Springer, 2014) [http://dx.doi.org/, ed. Russell, I.A. ; Cochrane, A. Art et civilisations de l’Orient hellénisé. Rencontres et échanges culturels d’Alexandre aux Sassanides. Hommage à Daniel Schlumberger. (Paris, Picard, 2014), ed. Leriche, P.
Atlante tematico di topografia antica. Atta 24. Roma, città romane, assetto del territorio. (Roma, Quasar, 2014), ed. Quilici, L.; Quilici Gigli, S.
Baiae. Stadt der hundert Genüsse, Herberge aller Laster. (Mainz, Nünnerich-Asmus Verlag, 2014), ed. Weeber, K.W. Celtic art in Europe. Making connections. Essays in honour of Vincent Megaw on his 80th birthaday. (Oxford, Oxbow, 2014), ed. Gosden, C.; Crawford, S.; Ulmschneider, K.
Da Tharros a Bitia. Nuove prospettive della ricerca archeologica nella Sardegna fenicia e punica. Atti della Giornata di studio, Bologna 25 marzo 2013. (Bologna, Bononia University Press, 2014), ed. Fariselli, A.C.
Davanti allo specchio lucente. Ceramiche greche nella Galleria degli specchi. [Mostra Genova, 16 maggio – 29 settembre 2013](Genova, Sagep, 2013), ed. Massabò, B. Der Neue Pauly. Supplemente, 9. Renaisscance-Humanismus. Lexikon zur Antikerezeption. (Stuttgart, Metzler, 2014), ed. Landfester, M.
Eclats arvernes. Fragments archéologiques (Ier – Ve siècle apr. J.-C.). (Clermont-Ferrand, Presses universitaires Blaise Pascal, 2014), ed. Bet, P.; Dousteyssier, B.
El pasado en su lugar. Patrimonio arqueológico, desarrollo y turismo. III Jornadas de debate del Museu de prehistòria de València. (València, Museu de prehistòria de València, 2014), ed. Vives-Ferrándiz, J.; Ferrer Gracía, C.
Etrusques. Les plus heureux des hommes. Etudes offertes au professeur Jean-René Jannot. (Rennes, Presses universitaires de Rennes, 2014), ed. Frère, D.; Hugot, L.
Experimentation and interpretation. The use of experimental archaeology in the study of the past. (Oxford, Oxbow, 2011), ed. Millson, D.C.E. La festa delle arti. Scritti in onore di Marcello Fagiolo per cinquant’anni di studi. (Roma, Gangemi, 2014), ed. Cazzato, V.; Roberto, S.; Bevilacqua, M.
L’iscrizione e il suo doppio. Atti del Convegno Borghesi 2013. (Faenza, Lega, 2014), ed. Donati, A.
Manuel de taphonomie. (Arles, Errance, 2014), ed. Denys, C.; Patou-Mathis, M.
Mito y magia en Grecia y Roma. (o.O., Libros Pórtico, 2013), ed. Suárez de la Torre, E.; Pérez Jiménez, A.
Monumenta. Du centre du pouvoir aux confins de l’empire. (Dijon, Editions universitaires de Dijon, 2014), ed. Lefebvre, S.
Museo di Palazzo Santi. Chiesa di Sant’Antonio Abate. Circuito museale di Cascia. (Prato, Regione Umbria, 2013), ed. Gentilini, G.; Matteini Chiari, M.
Nautílos. Taxideúontas sten Elláda. Nautilus. Navigating Greece. Centre for Fine Arts (Bozar), Brussels 23.1.2014 – 27.4.2014. (Athéna, Upourgeío Politismoú, 2014), ed. Garezou, M.X. ; Lagogianne-Georgakarakou, M.; Makkas, S.
Princesses of the Mediterranean in the dawn of history. (Athens, Museum of Cycladic Art, 2012), ed. Stampolides, N.C.; Giannopoulou, M.
Ricerche archeologiche in Albania. Atti dell’Incontro di studi Cavallino – Lecce, 29 – 30 aprile 2011. (Roma, Aracne, 2014), ed. Tagliamonte, G.
Rivoluzione Augusto. L’imperatore che riscrisse il tempo e la città. [Mostra Roma, 17 dicembre 2014 – 2 giugno 2015](Milano, Mondadori Electa, 2014), ed. Paris, R.; Bruni, S.; Roghi, M.
Ruthenia classica aetatis novae. A collection of works by Russian scholars in ancient Greek and Roman history. (Stuttgart, Steiner, 2013), ed. Mehl, A.; Makhlayuk, A.V. ; Gabelko, O.
Sacred darkness. A global perspective on the ritual use of caves. (Boulder, University of Colorado, 2013), ed. Moyes, H.
Simboli e miti di una civiltà mediterranea. La Sardegna nuragica. (Genova, ARA edizioni, 2014) Mostra Genova 14 maggio – 27 luglio 2014, ed. Campus, F.; Leonelli, V.
Syrien. Sechs Weltkulturerbe-Stätten in den Wirren des Bürgerkriegs. (Mainz, Nünnerich-Asmus Verlag, 2014), ed. Fansa, M.
The Berthouville Silver Treasure and Roman luxury. (Los Angeles, The Paul Getty Museum, 2014), ed. Lapatin, K.
The Italic people of Ancient Apulia. New evidence from pottery for workshops, markets, and customs. (Cambridge, Cambridge University Press, 2014), ed. Carpenter, T.H. ; Lynch, K.M. ; Robinson, E.G.D. The Oxford companion to classical civilization. Second edition. (Oxford, Oxford University Press, 2014), ed. Hornblower, S.; Spawforth, A.; Eidinow, E.
Themelion. 24 melétes gia ton Dáskalo Pétro Thémele apó tous mathetés kai tous sunergátes tou. (Athéna, Etaireía Messeniakón Archaiologikón Spoudón, 2013), ed. Sioumpara, E.P. ; Psaroudakes, K.
Uomini e acque a San Benedetto Po. Il governo del territorio tra passato e futuro. Atti del convegno, Mantova – San Benedetto Po, 10-12 maggio 2007. (Borgo S. Lorenzo, All’insegna del giglio, 2010), ed. Ambrosini, C.; De Marchi, M.
Posted in Archäologische Bibliographie, Projekt Dyabola, Update Announcements | Comments Off on Dyabola, ‘Archaeological Bibliography’ continues rapid growth: 2851 new titles in the first month and Augustus again!